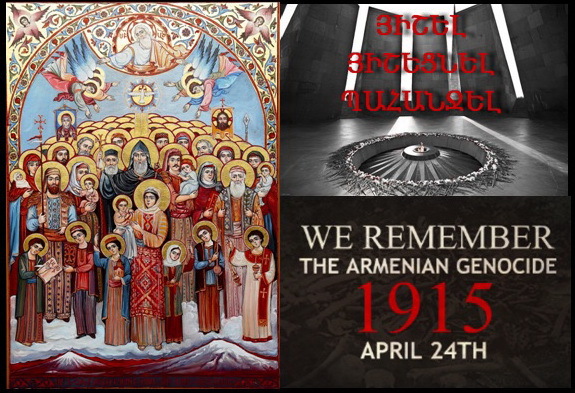 At 9:00 a.m., a community-wide commemoration organized by the United Armenian Council of Los Angeles (UACLA) will take place at the Martyrs’ Monument in Montebello, featuring a religious service officiated by heads of the Armenian Apostolic, Catholic, and Evangelical Churches, speeches by elected officials and community leaders, and placement of wreaths and flowers. At 1:00 p.m., the community will participate en masse in the March for Justice to the Turkish Consulate where a special program of remarks and performances will take place. At 6:00 p.m., an intercessory prayer will be conducted at St. Leon Cathedral in Burbank presided by H.E. 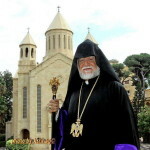 Archbishop Hovnan Derderian, Primate, H.E. Archbishop Moushegh Mardirossian, Prelate, H.G. Bishop Mikael Mouradian, Eparch, and Rev. 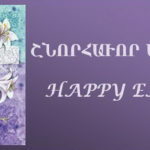 Berdj Djambazian. On Friday, April 26, at 7:30 p.m., the UACLA is hosting a panel discussion titled “Demands, Restitution, Justice” at “Kouyoumjian” Hall of St. Gregory Catholic Church in Glendale. Throughout the week, a number of events will also be taking place on a local level. 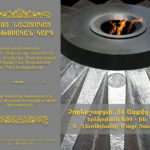 We call for widespread participation to honor the memory of our holy martyrs and raise our collective voice for justice.